It seems that everything in medicine these days goes by an acronym. DART stands for Dynamic Adaptive Radio Therapy, and has been developed at the Dattoli Cancer Center as the most sophisticated form of radiation therapy currently available. DART encompasses a unique combination of leading-edge 4D image-guided technologies, for example; “Exact Couch/Table”, 3rd generation on-board imaging, 3rd and 4th dimensional bone-to-bone and soft tissue matching, Portal Vision (MV), Portal Imaging (using amorphous silicone diode technologies), 3rd generation SonArray, 3rd generation Cone Beam Tomography, 2nd generation Respiratory Gating and AlignRT, all of which allow for the most precise and highly focused dynamically controlled radiation treatment available anywhere in the world. The integration of these technologies makes DART possible. 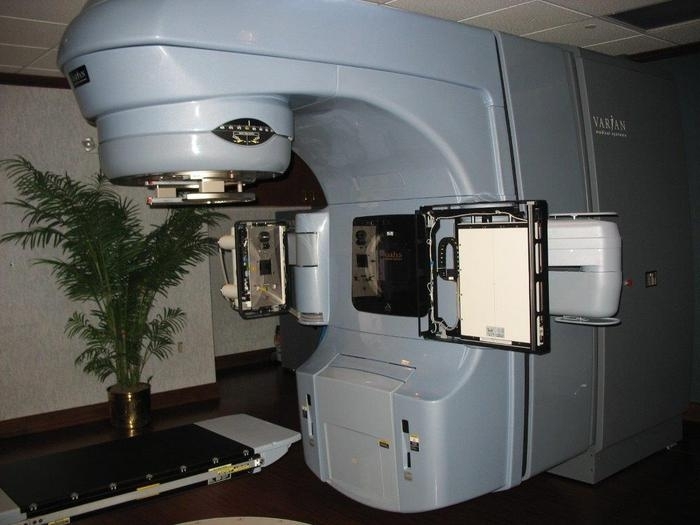 DART is the technique that allows our physicians to maximize the radiation dose to the tumor while minimizing the dose to surrounding normal tissue (thereby minimizing side effects). This is accomplished by targeting thousands of predetermined voxels (cubic millimeters) with thousands of microbeams. This high-precision approach to curing cancer has been the dream of radiation therapy dating back more than four decades. The equipment is continually updated from first generation models to more refined succeeding generation enhanced by further innovations. For treating prostate cancer, the accuracy of DART is superior to Intensity Modulated Radiotherapy Therapy (IMRT), Image-Guided Radiation Therapy (IGRT), Rapid-Arc®, Cyberknife, Truebeam™ and Proton therapy. DART incorporates every 4 dimensional image-guided device, taking radiation to new level of precision and control. This increased level of precision allows us to shoot microbeams of radiation to targets the size of tiny dots, referred to as “voxels.” Each voxel is the size of a cubic millimeter. This degree of control and focus enables us to greatly reduce the risk of damage to the bowel and bladder, while preserving erectile function. The On-Board Imaging Device (OBI) with the 3rd generation Cone Beam Helical Tomography add an additional layer of accuracy checks that ensures a level of precision not dreamed of just five years ago. In order to make sure that each microbeam reaches the designated target, the 4th dimension of motion must be taken into account. All the components of DART enable us to deliver the right dose to the right target at precisely the right time – each time and every time. Based on physiological and anatomical changes that occur between and during treatment. Our physicians, physicists, dosimetrists, therapists and combination of technical equipment can modulate or alter the original plan to account for these daily changes. This highly integrated approach is the key to DART – intra and interfractional changes, allowing for the most precise targeting of tumor(-s) imaginable. Respiratory Gating is another way that we can identify patient motion, with advanced video tracking technology which allows for real-time monitoring and correction of physiologic motion of the Chest, Abdomen and pelvis (prostate)which as a result of patient breathing. It should be noted the DART is not possible without Respiratory Gating, and most centers do not offer this technology as it is prohibitively expensive. It should be noted that with DART, not only is the prostate tracked, but also specific areas within the prostate are tracked as are all of the critical surrounding tissues. Moreover, during the tracking, minibeams are dynamically adjusted to reach their designated target (like “smart missiles”).